Eco-friendly event waste management services for events and venues of any size. Festivals, fetes, charity dos, sporting events, stage shows . . . special occasions like these create plenty of happy memories. But they can also create a lot of mess too, and keeping on top of this mess can be extremely tricky without the right organisation and committed experienced team at hand. At JunkClear we're proud to work with charities helping to keep their events and activities litter-free. In addition, music festivals and any large gatherings such as weddings or summer fetes often need help to dispose of the rubbish created along the way. 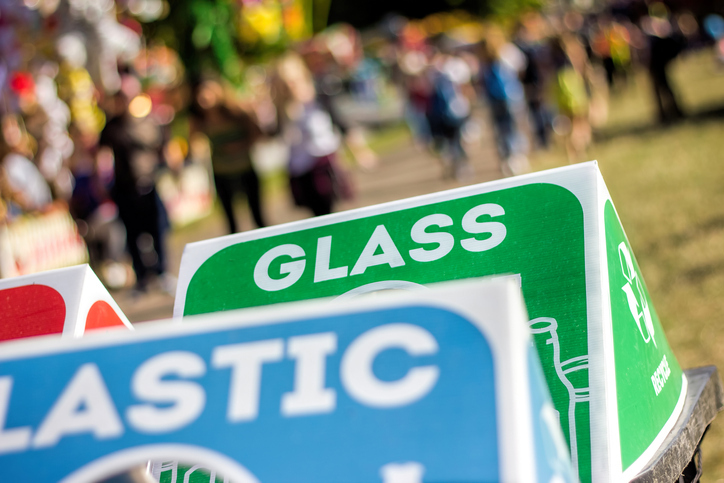 Our cost-effective and friendly festival waste management services are kind to the planet. We segregate and sort junk then recycle wherever possible, keeping landfill to a minimum. We're fully insured, accredited and licensed, and we've been in the business for over a decade. We're proud of our great reputation and our environmentally-friendly credentials. Each and every one of our event recycling services are tailored to you and your festival or events needs. 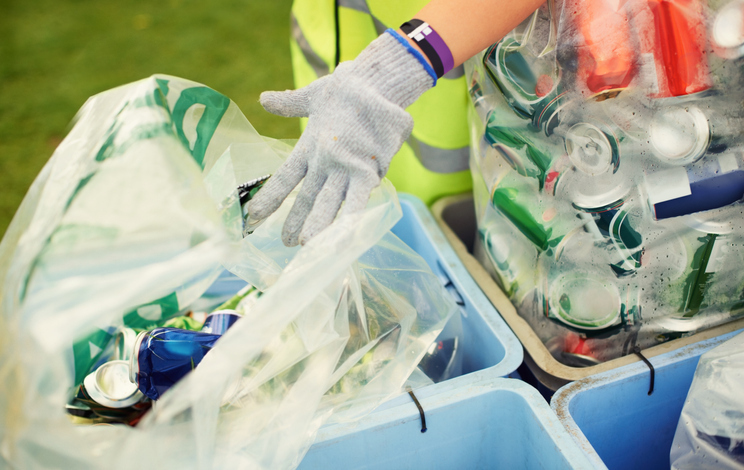 Our dedicated teams will work closely with the events organiser as well as our recycling partners and agencies to ensure the most effective and efficient means of dealing with your waste. JunkClear has worked hard to build strong lasting relationships with the nations' most ethical contractors to ensure the best possible event recycling processes are used throughout all that we do. 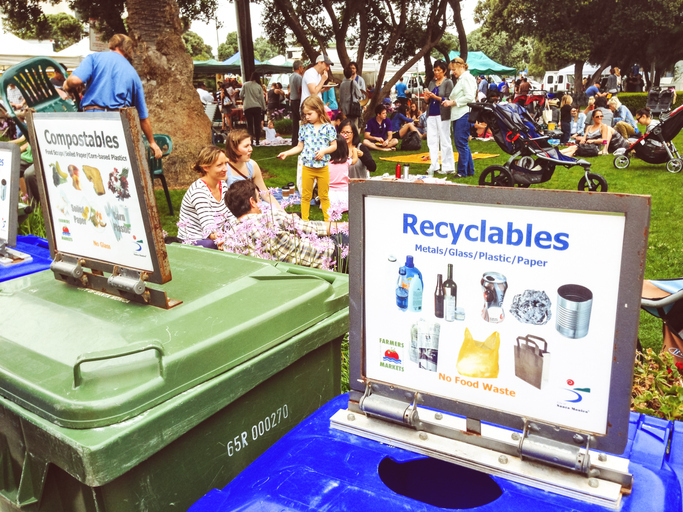 We provide a selection of different capacity wheelie bins ideal for events large or small, indoor or outdoor, from the standard 240 litre to the large 1100 litre, as well as providing recycling stations to ensure that general waste is kept separate from plastic, card, bottles and cans. Every wheelie bin will be regularly checked to ensure it is not overflowing, collected and replaced and then emptied and thoroughly sifted through at a recycling centre in order to recycle as much as possible to reduce its carbon footprint. Our dedicated events waste team will also ensure that the new waste containers are clean prior to use and that the area around the bins are kept clean and tidy. Why choose our event recycling services? First and foremost, we are one of most cost-effective event waste management providers within the industry. Don't believe us? Simply gives a call for a quote. We use multiple waste recycling streams. In order to reduce CO2 emissions into the atmosphere and help the planet we recycle at least 95% of all of the waste that we receive including hazardous waste. We are fully compliant with the legislation set out before us. We are regulated by the Environment Agency. We come highly recommended. Please take a look at our recent testimonials. Q1 Do you offer a 24/7 service for festivals and events? Our working hours are always flexible, especially when it comes to events. We'll work weekends and bank holidays, whenever we're needed. Q2 What areas do you cover? Our event waste management services cover London and the South East, and further afield for bigger projects. Wherever you're planning to hold your event, call us to discuss a tailored solution to your requirements. Q3 What payment methods do you accept? Debit card, credit card or BACS is preferred.